Why is Traditional SEO Morphing? This writing has been on the wall for some time. Starting in 2010, Google started unleashing a volley of updates in order to reinforce their stated position on valuable, fresh content. They were tired of the tricksters and gamers trying to manipulate their algorithm and calling it SEO. Google’s been telling folks to do (basically) inbound marketing for over five years. The problem for Google has been that they’ve had no good way of enforcing their stated position on quality, fresh content. This led to egg on their face when The New York Times broke the news that J.C. Penney was gaming their algorithm by producing spammy backlinks. It’s no longer good enough to sculpt web pages with keywords, manually build backlinks, deploy SEO programming techniques and audit all competitors for SEO in order to drive organic traffic to a website. It now requires lots of quality fresh content (content marketing), brand engagement in social media (social media marketing) and a much more gracile technical SEO deployment. Don’t believe it? 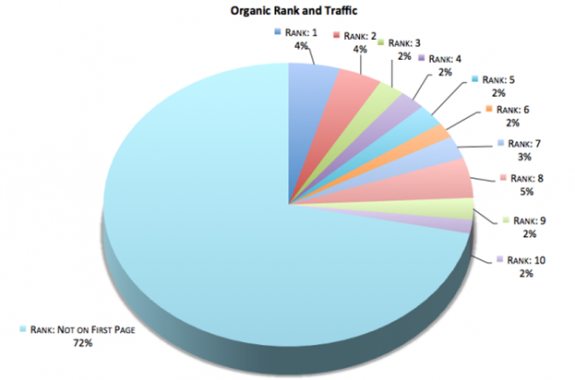 Check out Douglas Karr’s article Does Your Organic Rank Matter? Below is the percentage breakdown of his organic traffic by position on the first page and beyond. Rather than focusing on 10, 20, 50 or 100+ keyword phrases and trying to get them to rank number one on Google, Doug let’s his content do all of the work by publishing quality content multiple times per day. We’ve seen similar results. As a matter of fact, after a conscious switch to content marketing 15 months ago we’ve seen a 556% growth in the number of keywords driving organic traffic, a 473% growth in organic visits, and a whopping 633% growth in leads from search engines. Don’t misunderstand the point of the post though. 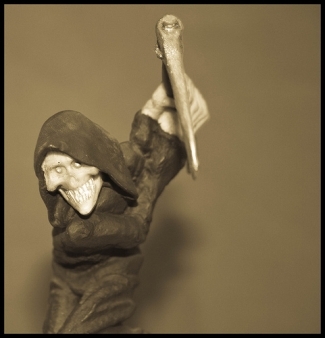 SEO is not dead, but many of the old tried and true techniques are dying in favor of content marketing. Marketers should still have an idea as to the keywords a brand should rank for. Making sure they’re in a few strategic places is important, but the content itself is MUCH more important. By the way, content marketing plus social media marketing plus SEO-lite equals inbound marketing. Google is swiftly strangling traditional SEO techniques. Because of this, content is no longer king, but rather ZEUS with social media being king and traditional SEO being queen (or maybe, if Google has their way, the court jester).